If you notice your toes are starting to bend awkwardly at the joint, you may be developing a common condition known as hammertoe. 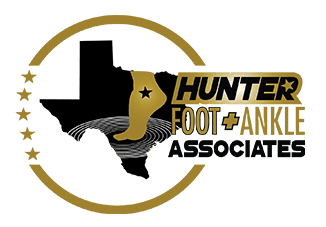 Roderick Hunter Jr., DPM, AACFAS, in Plano, Texas, is a board-certified podiatrist who offers innovative hammertoe treatment options to alleviate pain and restore normal functionality in your toes. Avoid further foot complications by scheduling a hammertoe consultation with Dr. Hunter online or by phone today. Hammertoe is a foot deformity that forms when you have an imbalance in your tendons, ligaments, and muscles that are responsible for keeping your toes straight. This results in an abnormal bend developing in the middle toe joint, which usually affects your second, third, or fourth toe. You may notice a visible bend in your affected toe joint and experience persistent pain in the joints of one or more of your toes. This pain can make it difficult to wear shoes or be physically active. Additionally, hammertoe can also cause other foot conditions, including calluses and corns, that develop when your toes rub against each other or the insides of your shoe. Hammertoe often develops because of improperly fitting footwear. When your shoes are too tight, your toes crowd together and aren’t able to stay flat. Continued use of tight-fitting shoes can result in severe deformities that make it difficult to eventually wear any type of shoe. You can also develop hammertoe if you suffer an injury to your toe, such as a break or fracture, or from an injury to your toe muscles, which causes contractions to the toe muscles. What treatment options are available for hammertoe? 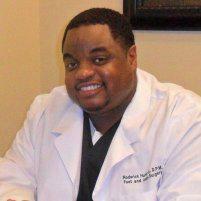 Dr. Hunter performs a thorough examination of your foot and toes to determine the cause of hammertoe. If you still have flexibility in your affected toes, Dr. Hunter may recommend a change in footwear and the use of orthotics to provide your feet with more support and sufficient room for your toes to lie flat. There are also simple therapeutic exercises you can do at home to increase your toe muscle flexibility, such as grabbing marbles off the floor with your toes. In severe cases of hammertoe, surgery may be the best option. Techniques to release the contracted tendon that cause the bend in your toe joint can provide long-term relief of chronic hammertoe pain and deformities. Dr. Hunter can address other issues that result from hammertoe, treating corns and calluses in the office to reduce your discomfort. Professional treatment of these issues is highly recommended to prevent additional complications, such as injury or infection, which can be common with home removal methods. Learn more about treating and preventing hammertoe by calling Dr. Hunter’s Plano office directly or booking an appointment online today.